It reminds me of the story about what Duke Ellington said to Clive Davis, the president of Columbia Records, when Clive was letting the Duke go from Columbia twenty-two years ago. "We can't keep you here. You don't sell records," said Clive. 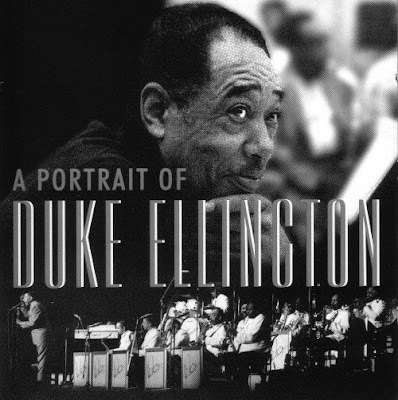 Tony Bennett was there as well, and Duke Ellington looked from Tony to Clive in wonder. Then he said, "It is our job to make records. It is your job to sell them". From Judy Collins 1987 autobiography Trust Your Heart. As a teenager Judy Collins was taught classical piano by the American conductor and teacher Antonia Brico. Judy Collins went on to make an Oscar-nominated film about the conductor, who was the first woman to conduct the New York Philharmonic and Los Angeles Philharmonic . 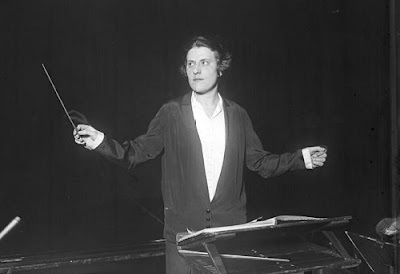 In 1930 Antonia Brico also became the first woman to conduct the Berlin Philharmonic Orchestra, the photo below shows her in the Philharmonie Hall in Berlin. Does the German caption for the photo suggest Brico was also the first American, regardless of gender, to conduct the Berlin orchestra? That is not something I have come across before, and can presumably only be verified by checking the orchestra's archives. I am sure U.S. readers will suggest Americans who may have conducted the Berlin orchestra before 1930, Walter Damrosch perhaps? (She) possesses more ability, cleverness and musicianship than certain of her male colleagues who bore us in Berlin." This month, the twentieth anniversary of the death of Antonia Brico passed shamefully unnoticed. But you can read the story of a remarkable woman here. The first American to conduct the Berlin Philharmonic was the composer Henry Kimball Hadley, who appeared with them in 1907. Hadley was a master musician, one who achieved some significant firsts. More about that can be found by consulting his biographical page at the Naxos records website, Wikipedia, or Herbert Boardman's book Henry Hadley, Ambassador of Harmony. Thanks John, I had a feeling a reader would know the answer. I see that Hadley's Third Symphony was premiered by the Berlin Philharmonic.